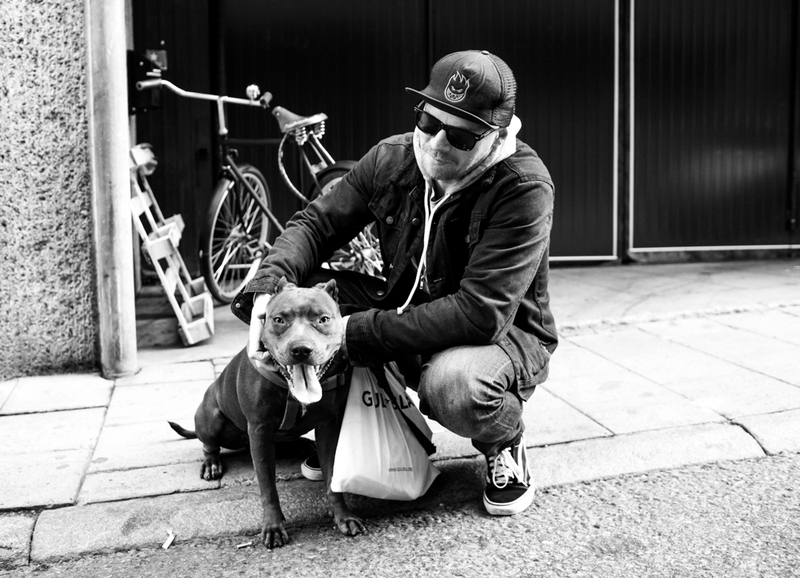 The following was written by Ante Ossianson (@swedun) of H.O.E.P. 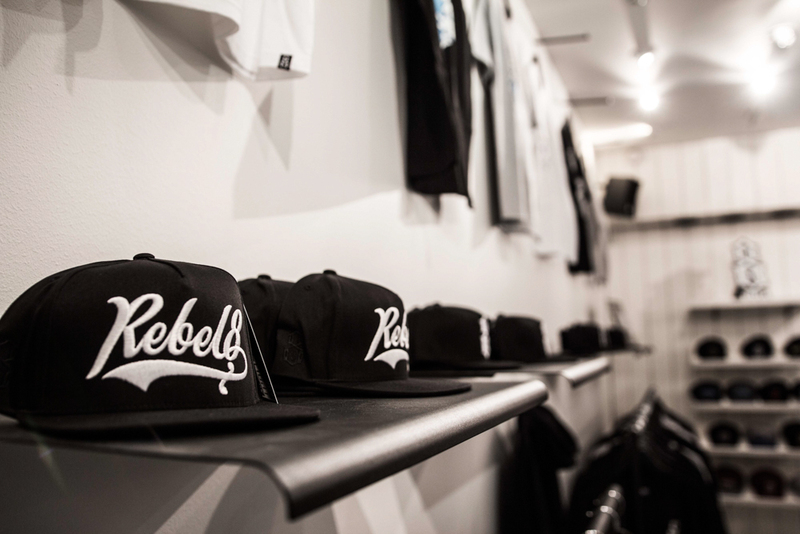 (@hoepbrands) about their recent REBEL8 pop-up. 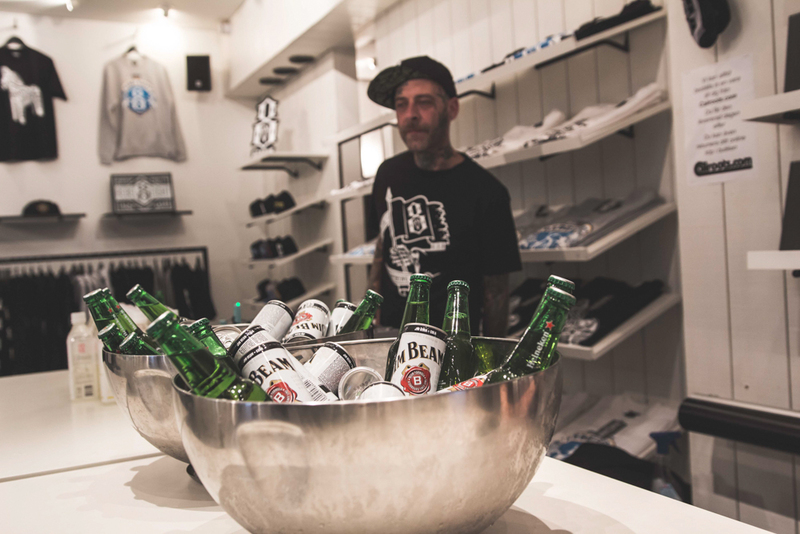 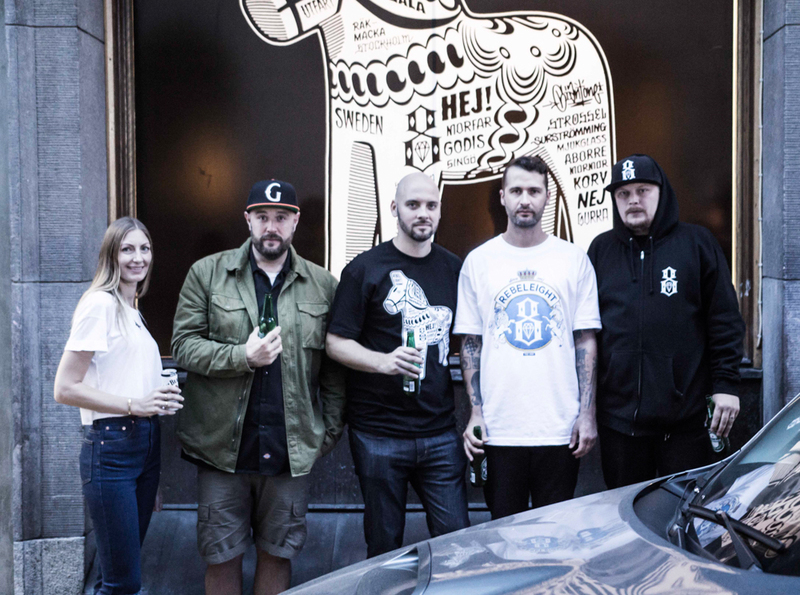 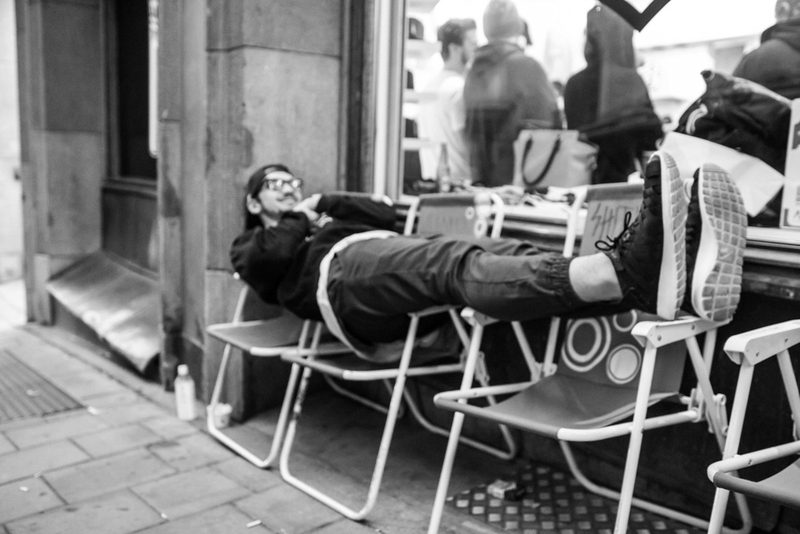 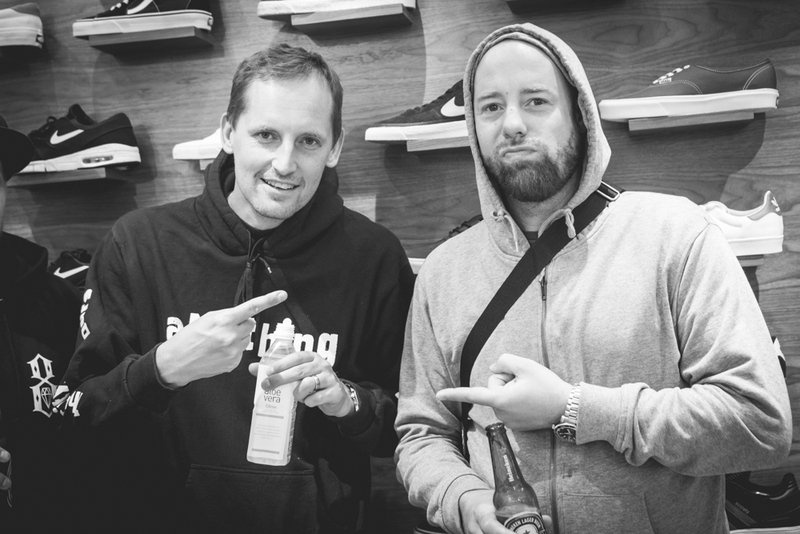 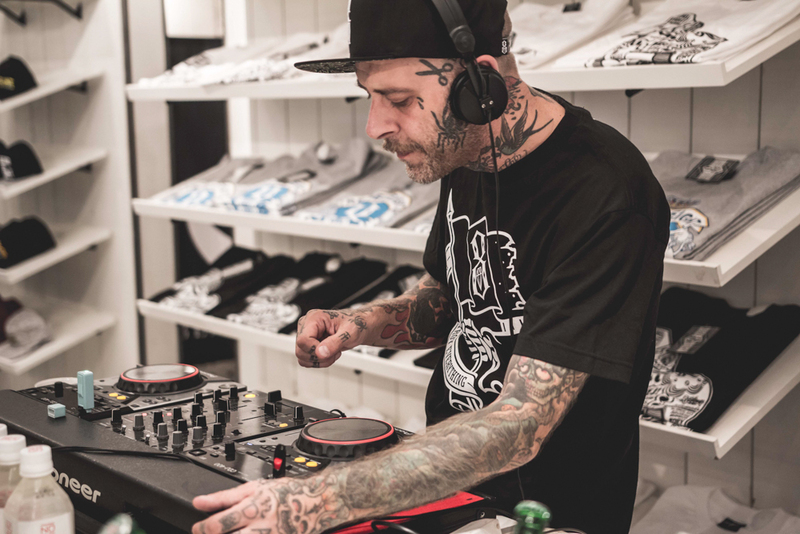 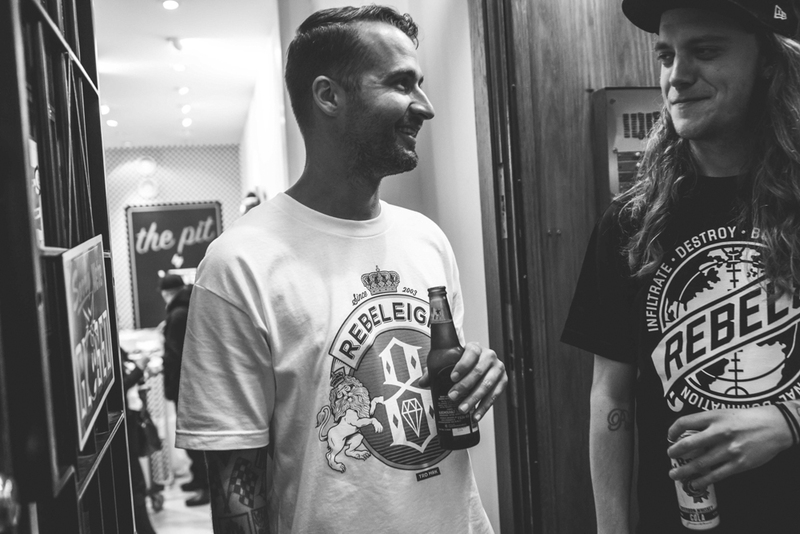 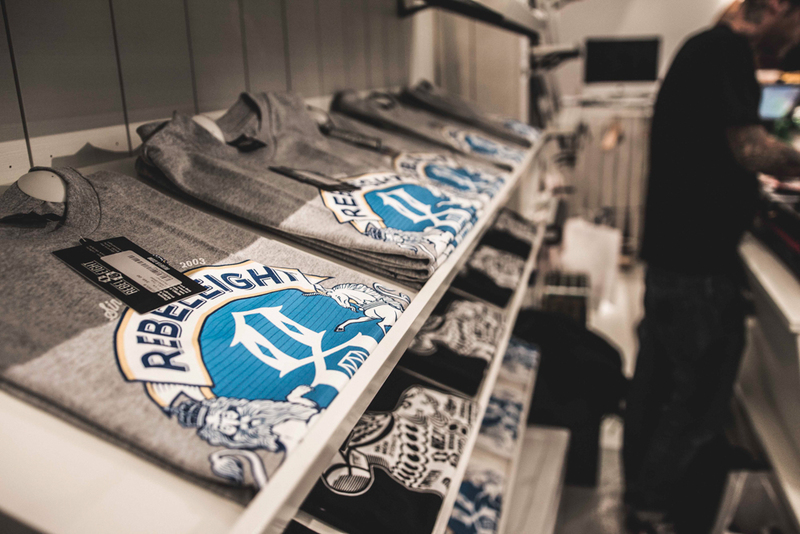 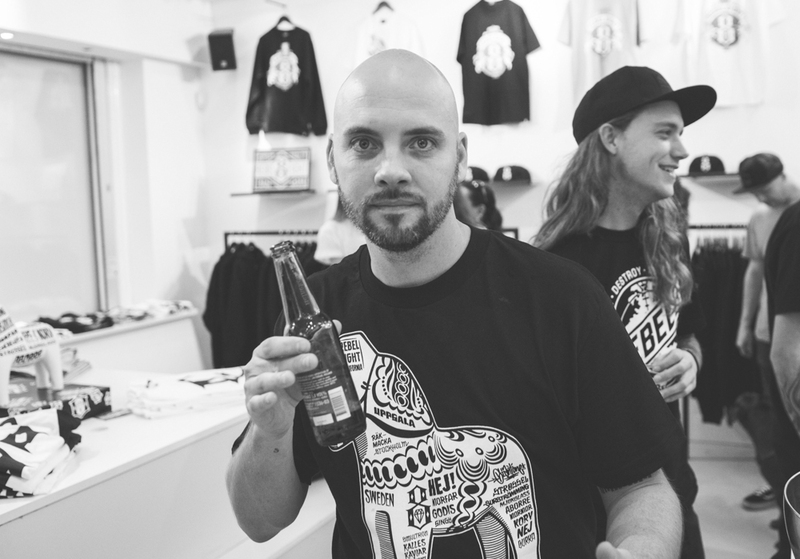 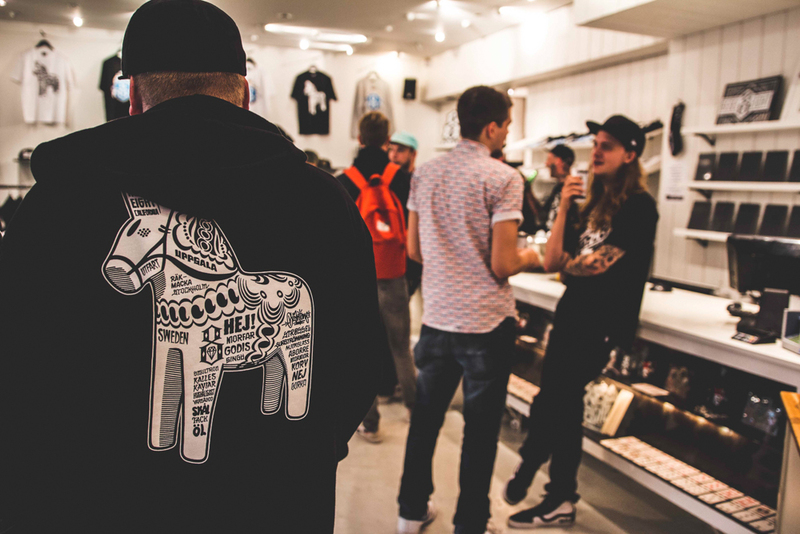 This past Saturday, REBEL8 teamed up with their Swedish distributor HOEP Brands for a daylong takeover the Caliroots Stockholm store. 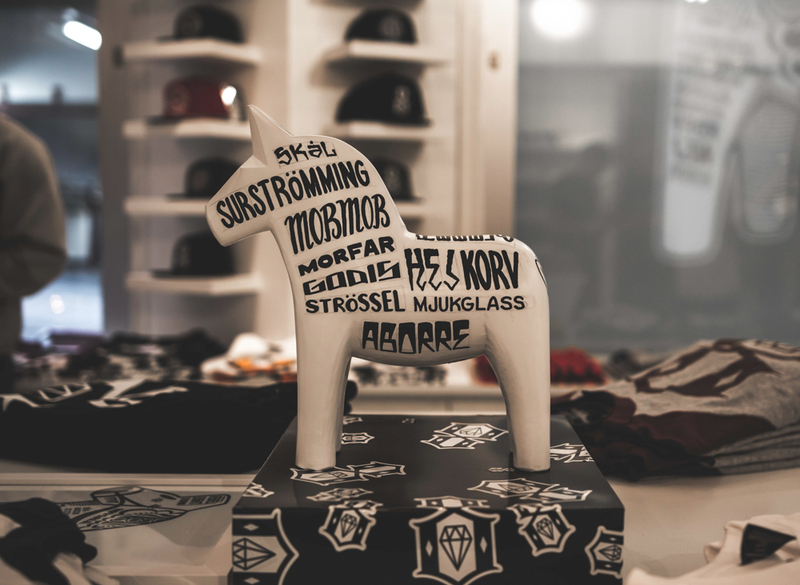 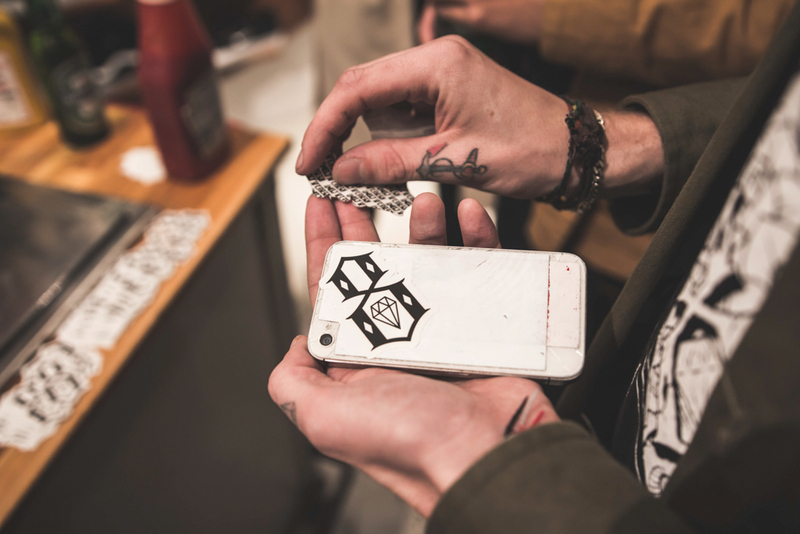 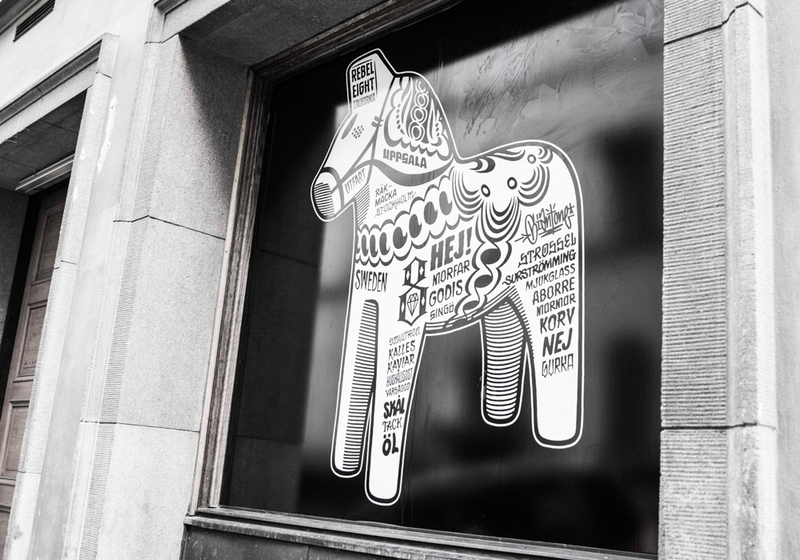 Two Sweden-exclusive graphics were released and Mike Giant donated a hand-painted “Dalahäst” to be auctioned off for charity in Stockholm. 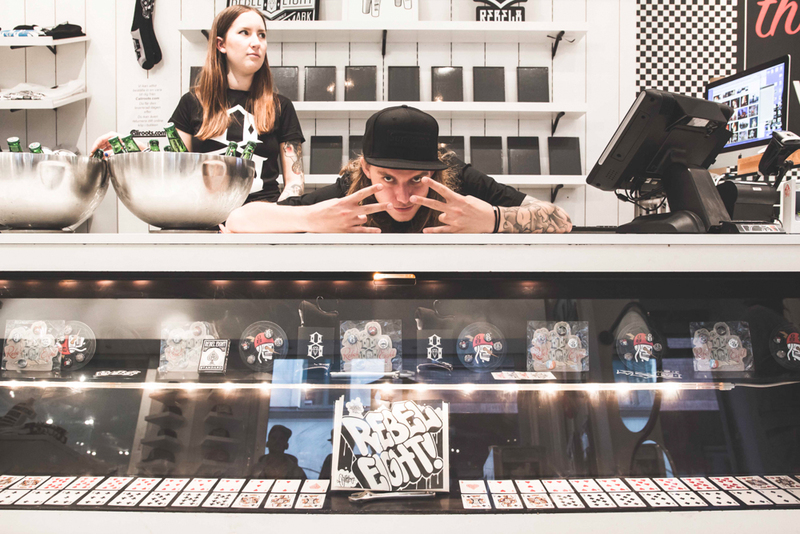 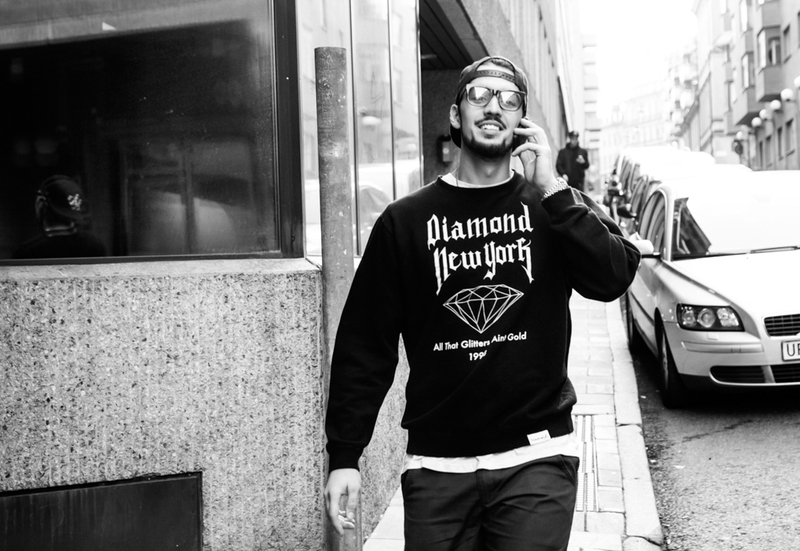 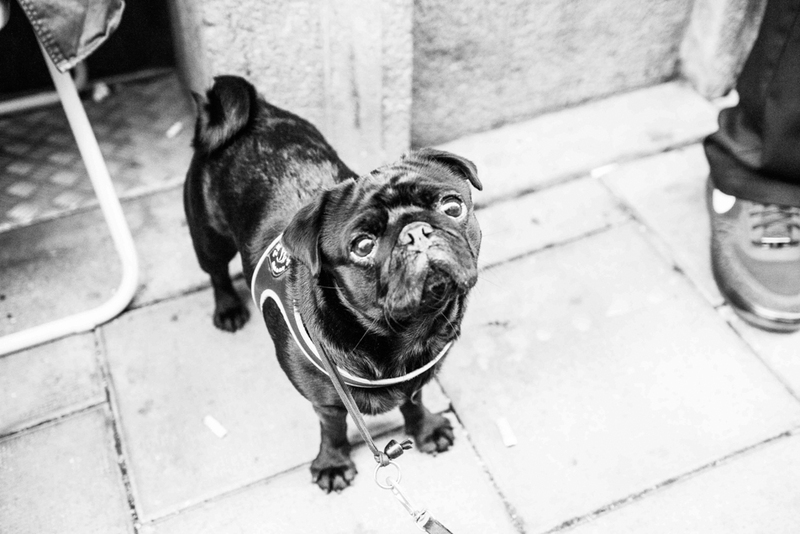 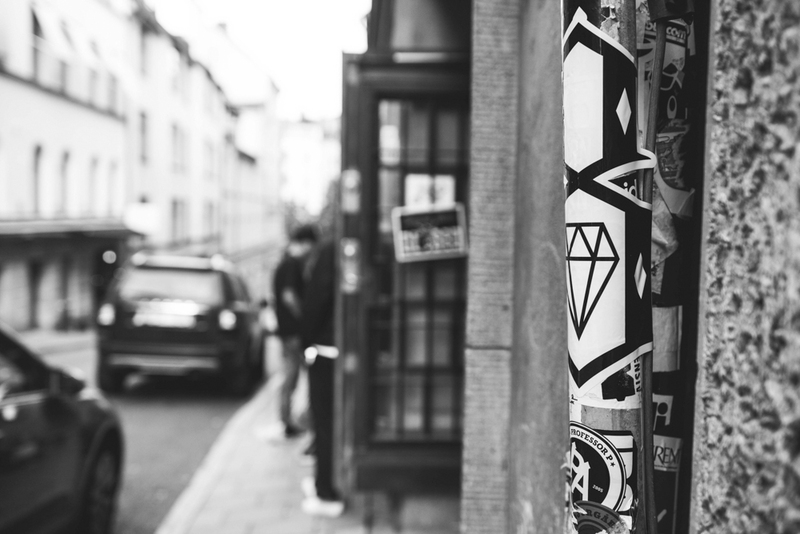 The Dalahäst feature different Swedish words REBEL8 owner Joshy D has learned over the years in his visits to Sweden, so the meanings are quite random across the board. 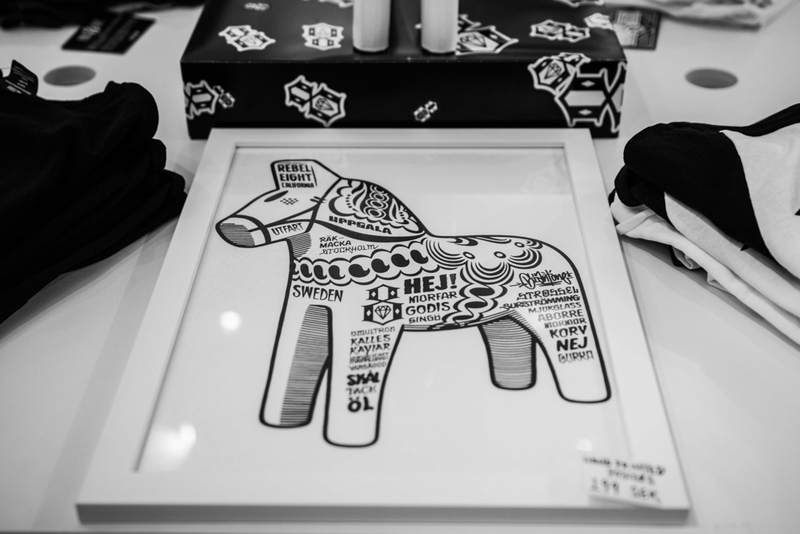 It will be up for auction for 10 days HERE so there’s still time to get in on it. 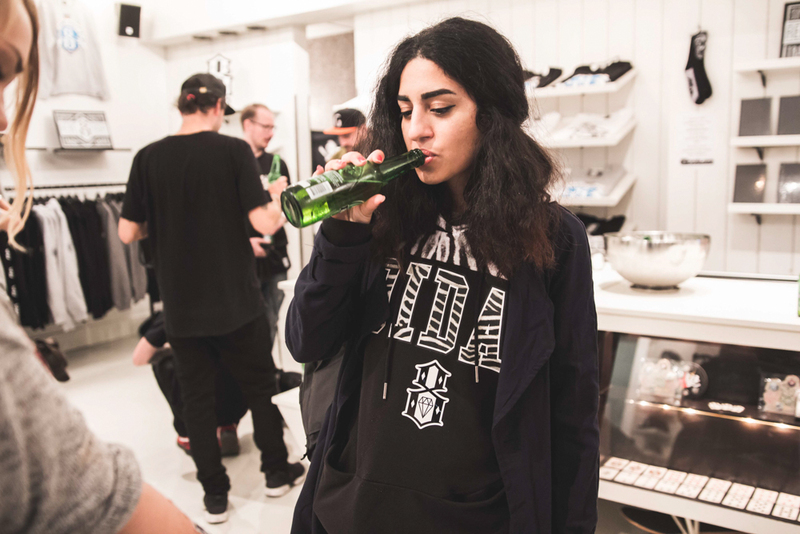 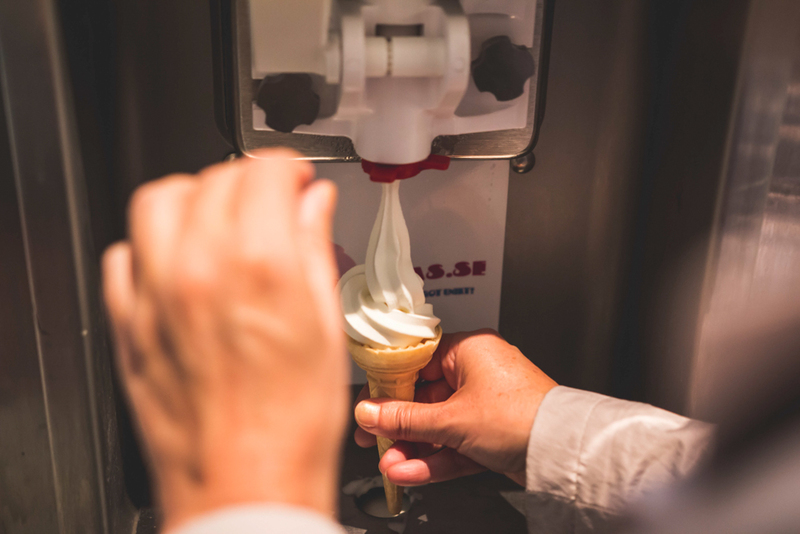 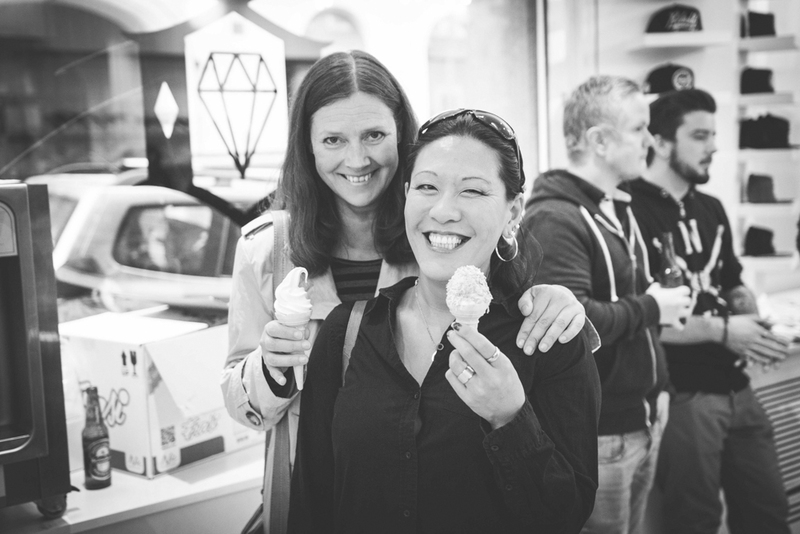 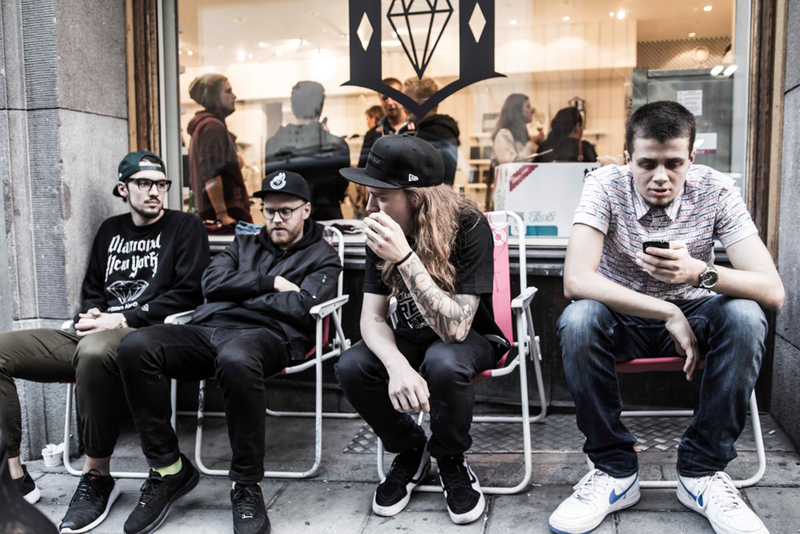 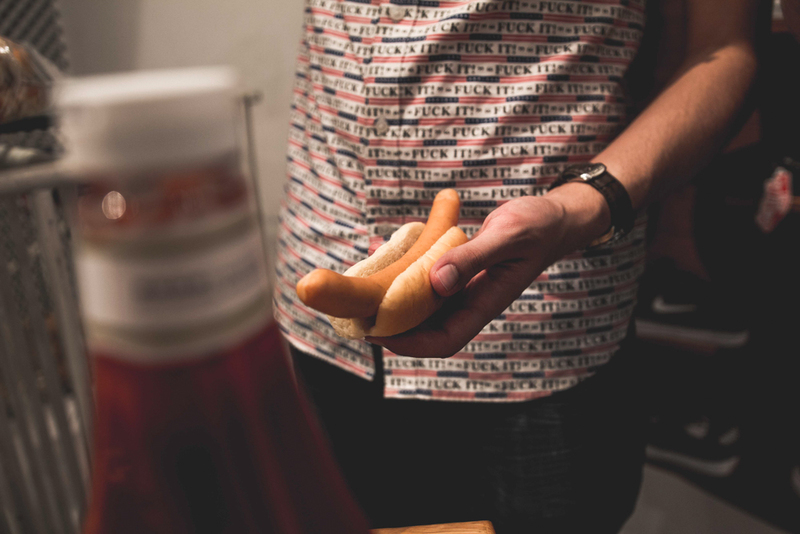 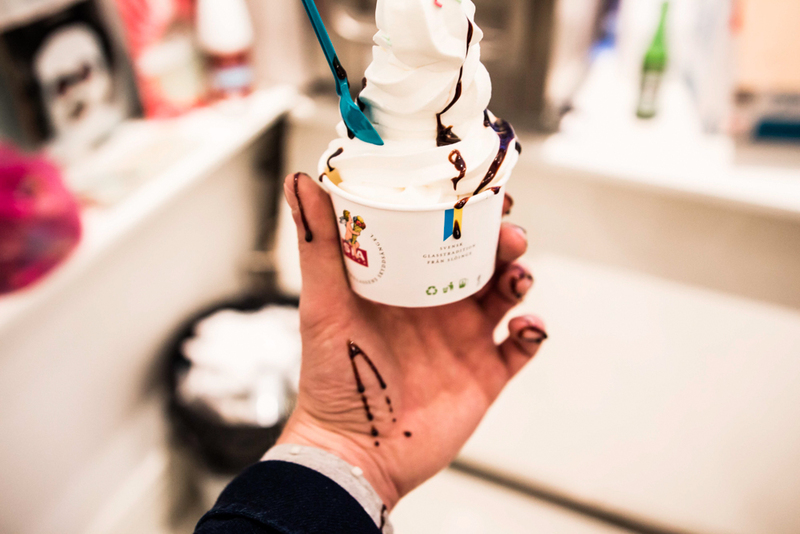 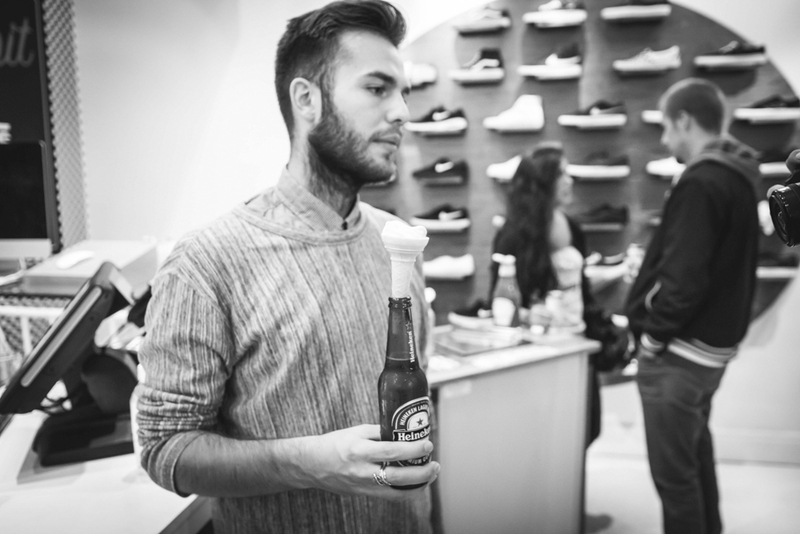 Visitors at the pop-up store were treated with Mjukglass (aka Swedish soft serve ice cream with a really dope name), Korv (hot dogs), and drinks. 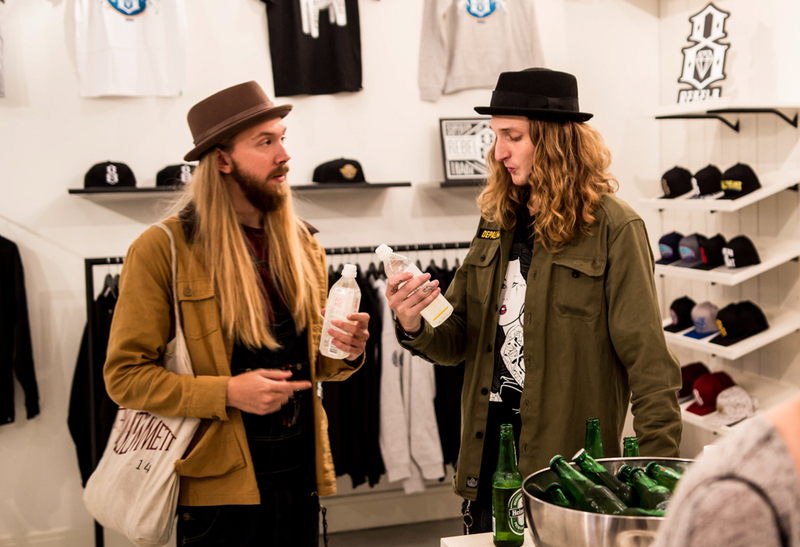 It’s always great to see how a multi-brand store can be stripped from everything else for a collaborative event.